In keeping with the production's overall "classic" approach to The Batman mythology, The Batmobile will be presented as a dark, powerful automobile that has been Bat-customized by The Dark Knight to provide stealthy transportation throughout the crime-ridden streets of Gotham City. 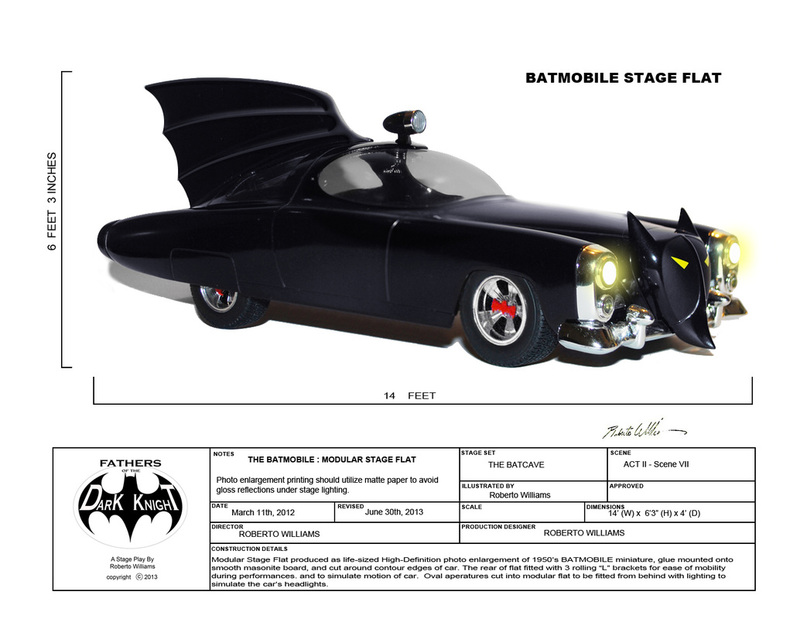 The 1950's comic book style Batmobile was selected for use by Production Designer Roberto Williams as one of his personal favorites. This set piece will be another example of grand stage illusion and ingenuity. 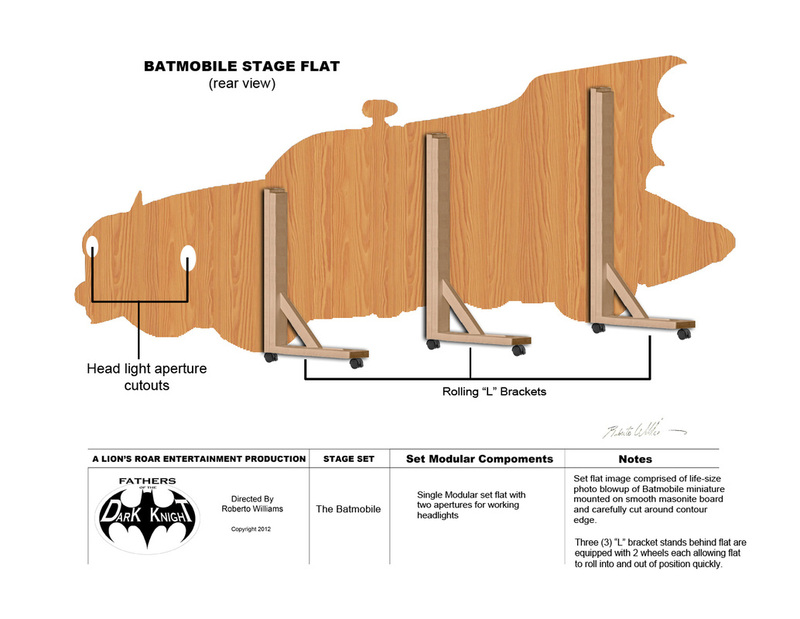 The flat will be comprised of a high-resolution laser photo print of a Batmobile miniature, enlarged to the dimensions of a full-sized automobile, and then glue-mounted onto finished wood. Initially appearing on stage as a pair of eerie headlights (and idling engine sound FX) during scene lighting blackouts, The Batmobile is sure to thrill and delight when finally revealed upon scene lighting fade-up! The rolling "L" brackets at the rear of the flat will facilitate ease of mobility and create the illusion of dramatic "take offs", when the Caped Crusaders spring off into action in their trusty ride!